A person can never have too much chocolate! So says our CEO Seleyn DeYarus, who put together this unique and chocolatey gift basket collection, featuring a heavenly Angell organic fair trade candy bar, Justin’s organic dark chocolate peanut butter cups, scrumptious Hail Merry chocolate macaroons, and one of our favorites—Kopali fair trade organic chocolate coverage cacao nibs. 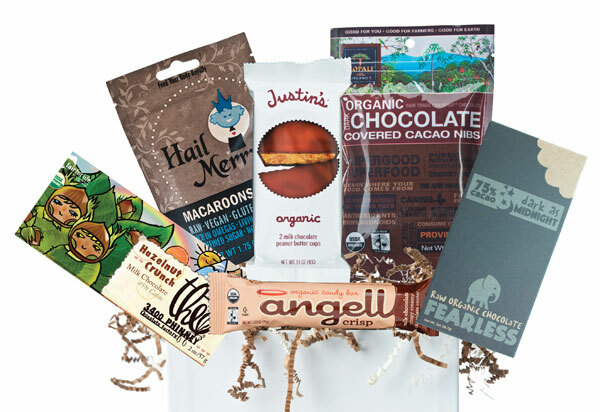 This delectable gift collection is where organic and chocolate find their sweet spot! All presented in an easy to ship, beautifully illustrated keepsake box! Include your personal message with any gift!